There are two types of people on this wonderful planet we call home. 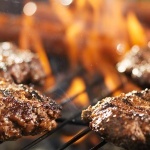 Some people love barbecue season for the sizzling burgers, crispy kebabs and colourful salads. Then there are the people who say, yeah, that’s all great and everything, but what’s for dessert? Sweet-toothed brethren, you have found your happy place. Serve these mouth-watering recipes from bloggers who share your passion for all things sweet and your BBQ guests will be looking forward to dessert the most too. 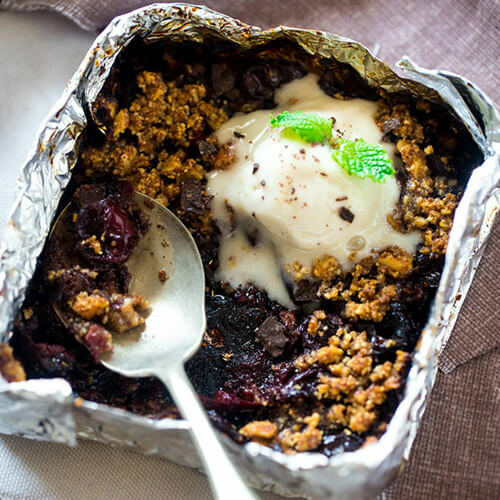 This dessert recipe from Hey Grill Hey takes the cake. 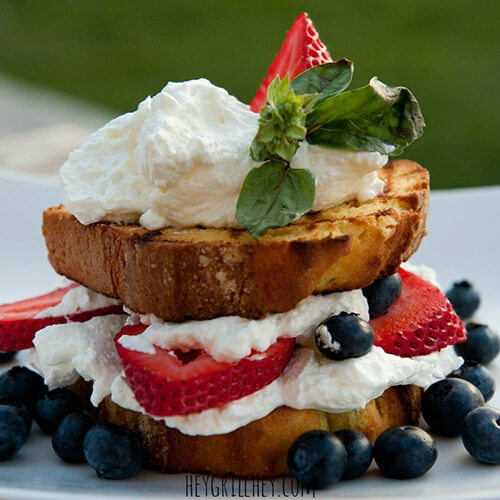 Then it slices it up, pops it on the barbie and adds delicious accompaniments in the form of fresh fruits and whipped cream. Really you can’t go wrong here. This idea would work for all sorts of loaf cakes like Madeira, chocolate or even a plain and simple sponge so even if you don’t like lemon cake you’re onto a winner. The only downside of entertaining is having to take time out of socialising to prepare the food. The beauty of this recipe from Lick My Spoon is that you can get guests to prepare their own desserts! 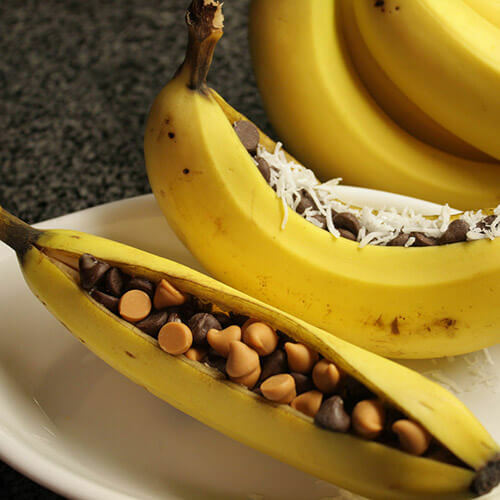 Just slit open some bananas, have a range of toppings to hand, sit back and let your friends and family create their own bundles of banana goodness. Any other toppings you fancy! Barbecuing for a large group can be tricky and if you have guests that follow a specific diet life just got even more complicated. Food Faith Fitness has put together a tasty barbecue treat that caters to gluten-free, lactose-free and paleo diets. When you take into account that it’s really tasty and easy to prepare too you’ve got yourself a triple win. 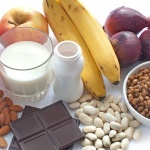 It may have come from Cravings of a Lunatic’s blog but there’s nothing crazy about this recipe. Strawberry, caramel and chocolate? That’s a flavour combo that makes complete sense. 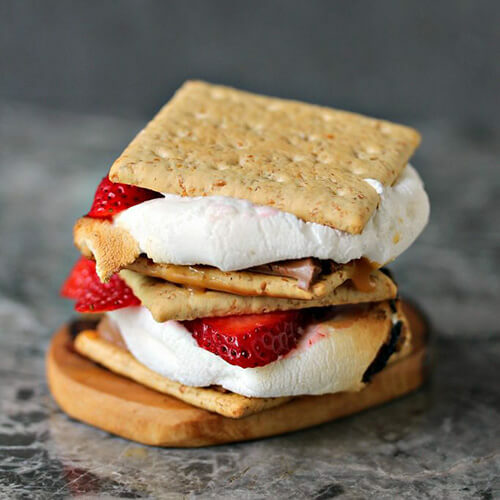 We love this easy twist on the classic s’mores recipe and with the addition of some strawberries could it even pass as healthier? With just three ingredients it goes without saying that this recipe is mouth-wateringly simple. 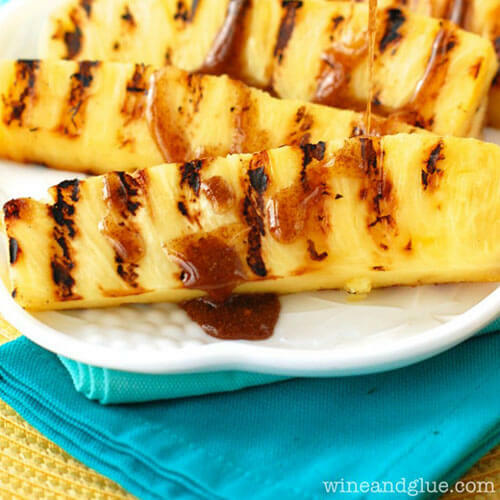 Grilled pineapple is genius in itself, but with Wine and Glue’s honey and cinnamon sauce added it’s truly heavenly. Once you get a taste for grilled pineapple, don’t stop at just one topping. Try it with cream, caramel, melted chocolate… we’ll stop now because we’re drooling, but you get the picture. The fun doesn’t stop here! The more sweet grilled treats out there in the world the better. Peaches can be grilled. Sugared doughnuts can be grilled. Even grapefruits can be grilled. The only limits are your imagination and the number of desserts you can fit on your barbie. No BBQ? No problem! Before you go anywhere else, enter our competition to be in with a chance of winning a brand new barbecue, plus a whole host of grilling goodies!